“The human race has one really effective weapon, and that is laughter,” said Mark Twain. 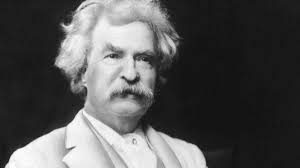 By calling laughter a weapon, Twain points out three things that satire does well, it makes us laugh, makes us think, and makes us question. Truly great satire has the power to illuminate injustices without the typical monotonous delivery of a daytime news program; it has the power to make its viewers question the way the world works. A 2012 study published by the University of Michigan found that satire news, like Last Week Tonight with John Oliver, or The Daily Show with Trevor Noah (formerly Jon Stewart), greatly increases voter discussion of upcoming elections. “The constructive role of comedy shows evidenced in this study suggests that political entertainment may serve as an important catalyst for revitalized civic life,” Hoon Lee, the article’s author said. Given this study, it’s easy to see why late night news has become so popular in recent years; for example, since its creation in 2015, Last Week Tonight has won 12 Emmy awards. 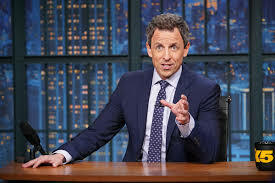 Late night news hosts occupy a unique position; they sit somewhere between journalists, who strive for accuracy and fairness, and activists, whose views are too far left or right to be taken seriously by most. These hosts have a unique way of delivering the news as well. Unlike typical journalists, their delivery is varied, entertaining, and impactful. A minority of students and faculty watch late night news comedy, but those who do recognize its unique style of delivery. “John Oliver (host of Last Week Tonight) delivers the news in a different and more understandable way than the regular news does,” said Junior Nathan Borthwick. “I watched when I was younger, but as I got older, I realized how smug the hosts were,” said Mr. Skemp, an Upper School history teacher. Overall, news that answers to no one besides the public has a way of cutting through much of the hum-drum of your typical daytime news show. News delivered with satire in mind has the power to truly change minds and expose the incongruities of our world.